With two weeks to go before the Lok Sabha Elections 2019, all political parties have been canvassing for votes in full swing. From formulating campaign strategies to stitching alliances, each is working to clinch as many seats in the upcoming polls as possible. 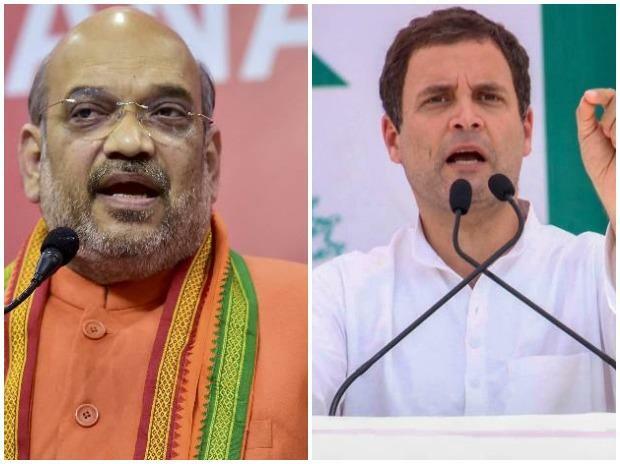 Today, Bharatiya Janata Party (BJP) President Amit Shah addressed a rally at Moradabad's Ramleela maidan, while Congress President Rahul Gandhi held rallies in Rajasthan, Suratgarh city in Ganganagar district and Bundi. He also held dialogues with selected booth-level workers in Jaipur. Uttar Pradesh Chief Minister Adityanath campaigned in Azamgarh and Gorakhpur. Here is what made news about 2019 elections today.